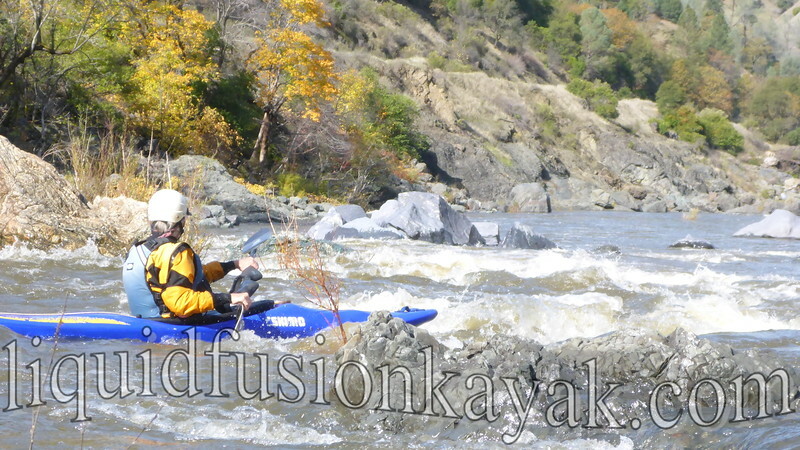 Significant rainfall in October kicked off whitewater season on California's North Coast. Jeff and I were pining to get up to the Smith, work commitments kept us close to home. No complaints from us. We had warm, sunny days, and lots of water and runs to chose from. 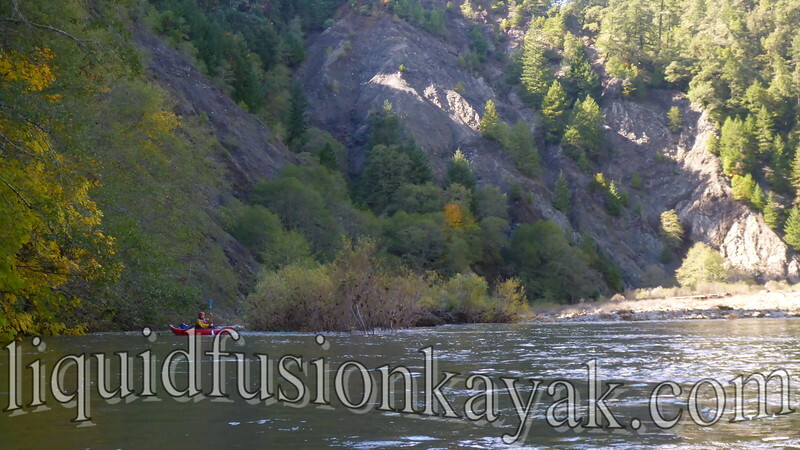 Kayaking on a scenic stretch of the South Fork Eel River. We opted for a scenic run on the South Fork of the Eel River. The scenic run did not disappoint. The big leaf maples were in full color. 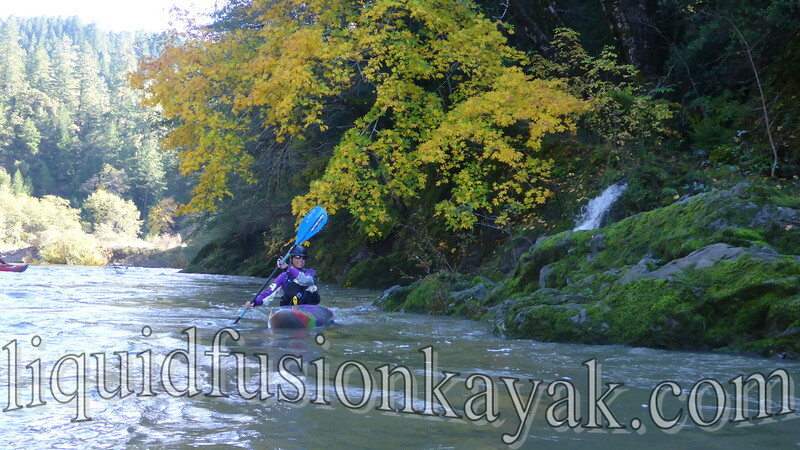 A colorful day with the vibrant maples and my stylish Immersion Research Shawty Drysuit. Photo by Jeff Laxier. 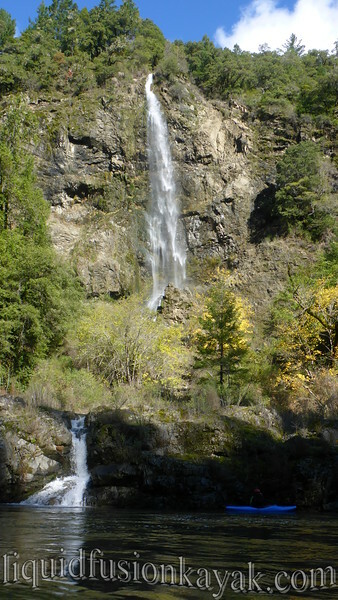 And the waterfall at Grizzly Creek was going off!!! 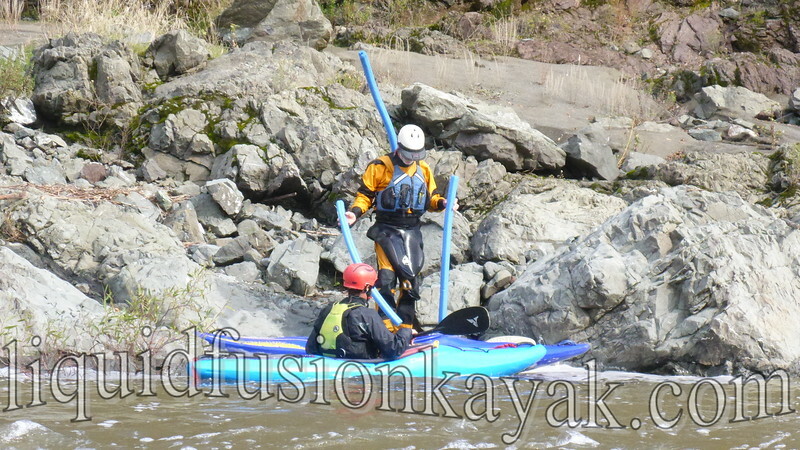 Day two, we rallied with a couple of the usual foul weather gang to run our local favorite the Eel. 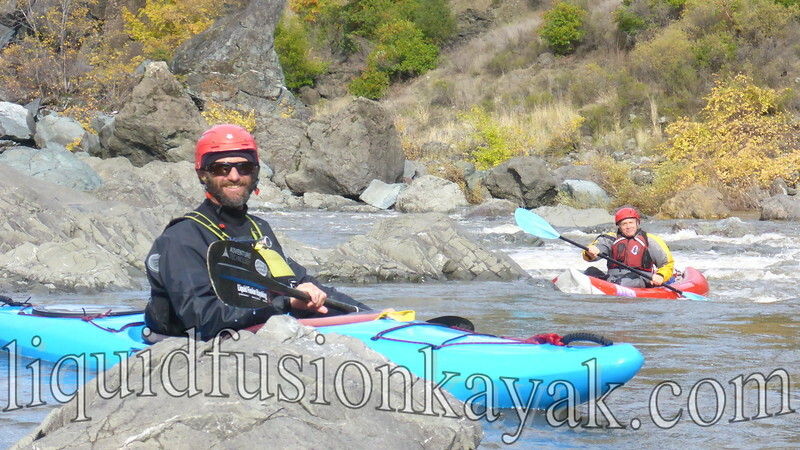 Warm sunny weather and a perfect flow had us poking our way down the river - soaking in the sights, surfing waves, and relishing the day. It was the first run of the season so we had to attend to some of the debris left by summer picnickers and swimmers. 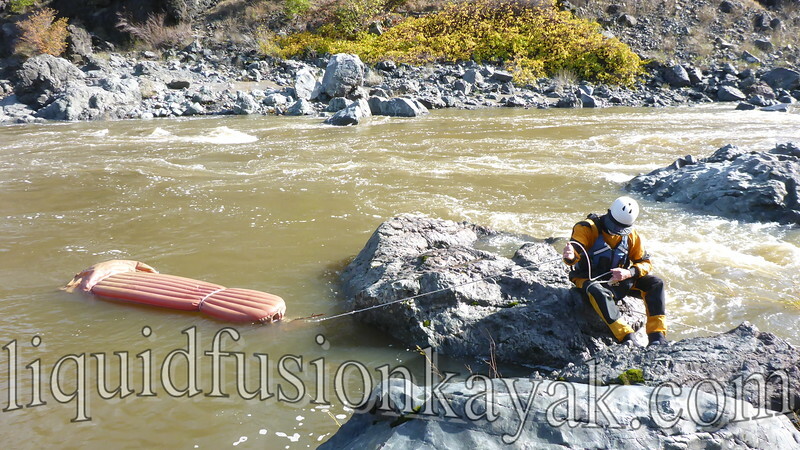 Jerry reels in a toy raft that was tied off in the river. Photo by Cate Hawthorne. We definitely scored on the fall colors and the flow. Jeff and Paul "shitalking" about the what line to take at "The Wall." Many of our favorite surf waves and play spots were working. Jeff testing out the speed and surfability of the Dagger Katana. Photo by Cate Hawthorne. An eagle soaring overhead reminded us that it is salmon and steelhead season. We didn't see any fish on our trip but have heard reports that they are making their way up stream to spawn. 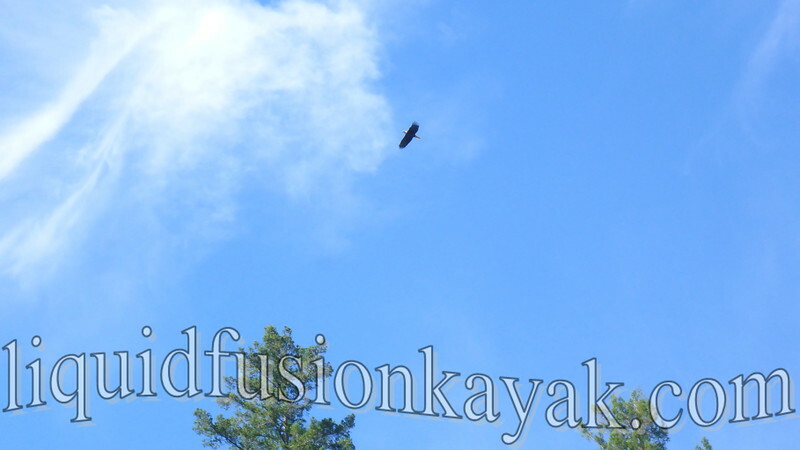 Adult bald eagle soaring above the Eel River. Photo by Cate Hawthorne. And while somethings are the same on the river. There is always something new. There is now graffiti artwork decorating "The Wall." 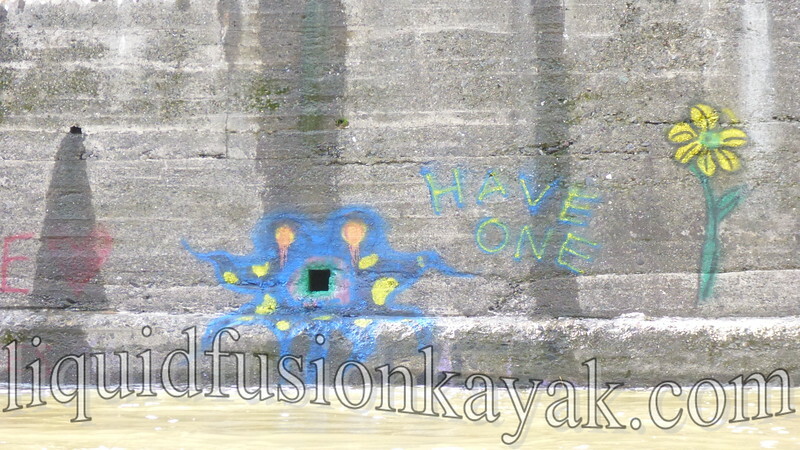 We may have to paddle the river at a lower flow to see what the rest of the message contains. Ahhh and what does the rest of the fall hold for us. Hopefully more rain so that we can get back on the river. 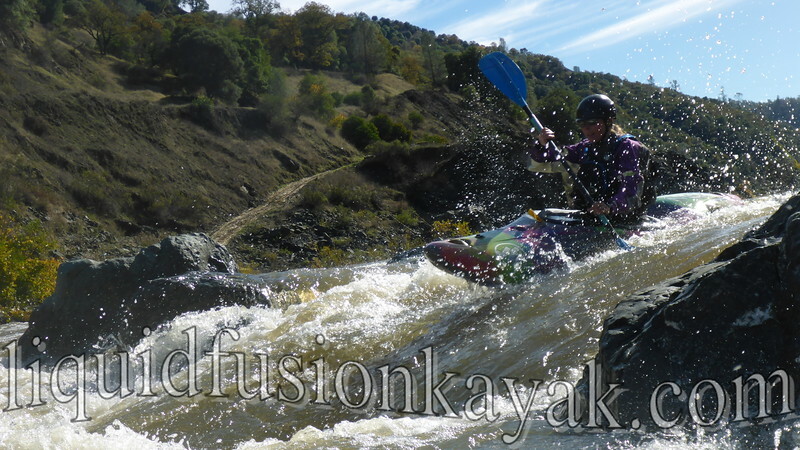 Cate enjoying whitewater kayaking on Mendocino County's Eel River. Photo by Jeff Laxier. 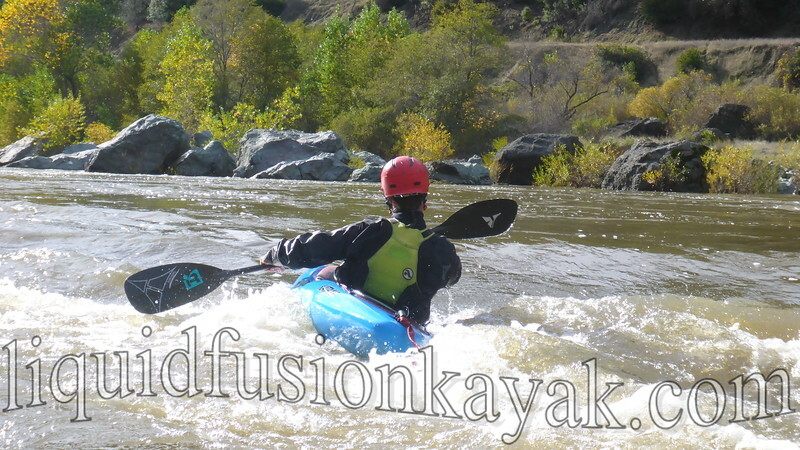 Here is a link to some more of our photos from our glorious fall day whitewater kayaking on the Eel River.